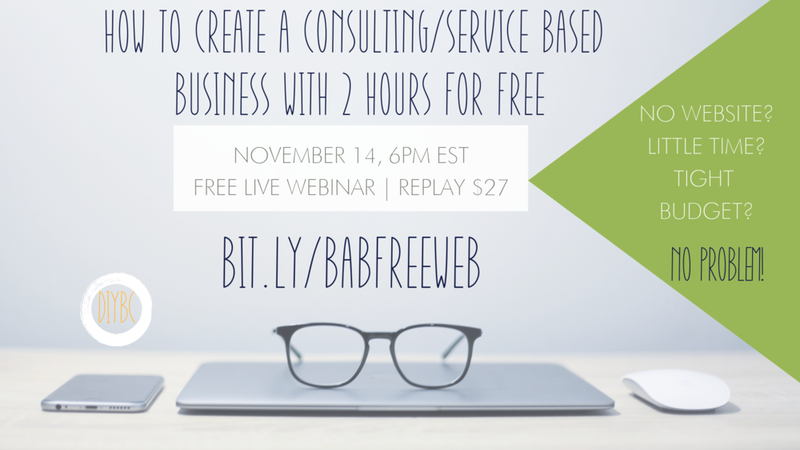 Learn how to start your own consultant business in less than a day for free. Yes. You read that right. Start your empire from your computer with a little elbow grease and some strategy. It IS possible. I know because I did it myself. I started my image consulting business in college with little more than some passion and a plan. Although i didn’t have a lot of extra money, I did have time. I took my research and grew it into a profitable work from home business. I want to share my knowledge and tools to empower others to do the same. Being a new business doesn’t mean being a poorly run business. Start out with polished business that impress clients and makes you money from the go. Sign up and receive access to the live event, a discount for the replay & a workbook to make sure you get every bit of information. Thank you! Keep an eye out for your workbook and event details. In the meantime, visit DIY Business Corner on Facebook here. This webinar takes all the excuses away for you to finally start your business and build your empire! Sign up now and see it live for free! The replay will be $27, so get the information while you can.